This retainer is often called the Herbst hinge. The Herbst appliance is a retainer which keeps the mandible in a forward position with the aid of something similar to "locomotive rods". 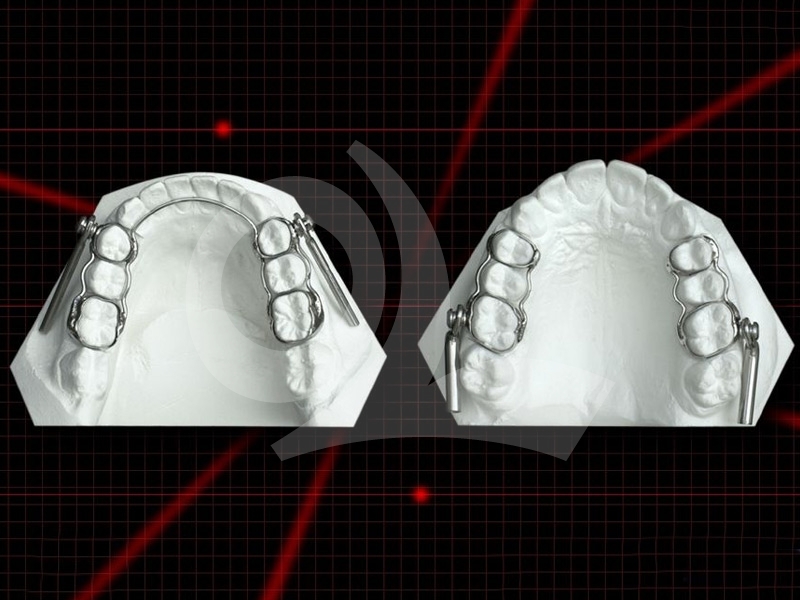 The forward growth of the mandible and the bottom teeth can be stimulated in this way. The Herbst appliance cannot be removed from the mouth by the wearer. 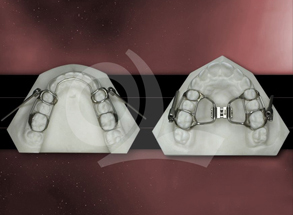 The prototype of the appliance was used for the first time in 1904 by the German orthodontist, Emil Herbst. The Herbst appliance was rediscovered in the eighties. 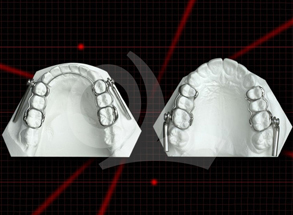 The retainer is currently used in various (modernised) forms.